The Student Leadership Challenge tailors one of the world’s most respected leadership models to students’ unique needs, and provides a proven pathway to success. 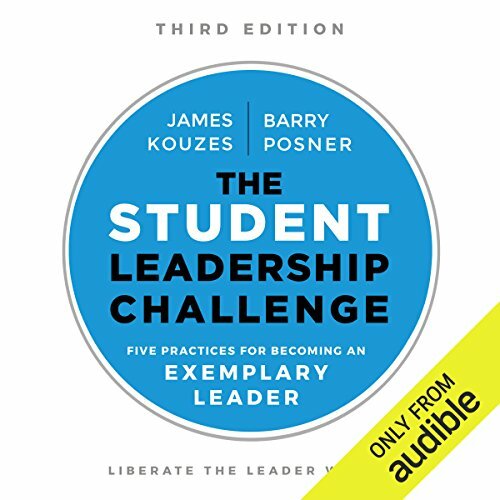 Based on The Five Practices of Exemplary Leadership, this book merges solid research with personal stories from real-world student leaders to help students develop the critical skills they need to lead both now and after graduation. Useful from high school to graduate school and beyond, these lessons are reinforced by reflective and critical thinking activities to help students internalize important concepts while honestly assessing their own practices. Updated and expanded, this new third edition includes four extra chapters to allow deeper investigation, while broader, deeper, and more vivid examples from real-life students illustrate what student leadership looks like around the world. New discussion delves into the research behind the model, as well as the usefulness of leadership in the transition to post-graduate life. What does leadership mean to you? Although it may be difficult to put into words, we all know it when we see it. Effective leaders tend to exhibit a specific set of traits, possess certain skills, and practice particular habits. This book helps you hone your natural talents and shape your path to success as the leader you want to become. Great leadership is more important than ever before, and students are in a prime position to develop these critical skills. The Student Leadership Challenge provides a comprehensive framework with real-world application to help students become their very best. ©2018 James M. Kouzes and Barry Z. Posner (P)2018 Audible, Inc.